Rabbi Jonathan Gewirtz, right, shopping in Wesley Kosher in Wesley Hills, NY. Environmentalists may be doing a happy dance after learning that New York may soon be the second state in the nation to ban single use plastic shopping bags, but reaction from many in the Jewish community is far from enthusiastic. The governor announced his plans to ban plastic bags statewide in order to reduce greenhouse gas emissions associated with their production and disposal back in January when he released his 2019 executive budget. Formal announcement of the plan to eliminate the 23 billion bags used statewide came last week as part of the state’s $175 billion budget, which has already been approved by the state legislature. The ban would go into effect on March 1, 2020, and would affect any store that is required to collect sales tax, including supermarkets and retailers large and small, reported the Democrat & Chronicle. Stores have the option of offering paper bags but cities and counties would have the option of charging a five-cent per bag fee, with three cents going to the state’s Environmental Protection Fund and the remainder pocketed by the local government. Certain exemptions do exist under the ban. Eleven types of bags, including garment and trash bags, and those used to hold newspapers, prescriptions, bulk items, prepared foods, and raw fish, meat or poultry would be allowed. Restaurants would still be permitted to use the bags for deliveries, take out and doggie bags, but Assemblywoman Patricia Fahy is already working to disallow that particular loophole. Also exempt from the ban are those receiving public assistance such as SNAP or WIC, an allowance made to prevent them from undue financial hardship. The additional costs that the ban would bring was very much on the mind of Senator Simcha Felder, who captured the media spotlight in 2017 when Mayor Bill de Blasio attempted to institute a five-cent per bag charge on plastic shopping bags in New York City. Holding up a loaf of Wonder Bread and a dozen eggs, Felder challenged the mayor to name the price of those items, telling him that the state residents are already struggling to pay their bills. The problem is far worse in the Jewish community where large families are the norm, noted Felder. While Cuomo and others suggest that consumers bring reusable bags with them when they shop, that approach is far less practical in families where the weekly trip to the supermarket often involves an overflowing grocery cart. The trickle down effect to consumers won’t be pretty, said one source in the plastic bag business who spoke to The Jewish Press on condition of anonymity. Stores will have no choice but to pass the cost of grocery boxes on to shoppers, who will in turn buy less on each trip if they are forced to carry their groceries homes. Bennett-Tribuch disagreed with the notion that plastic shopping bags are being discarded once they are brought home. 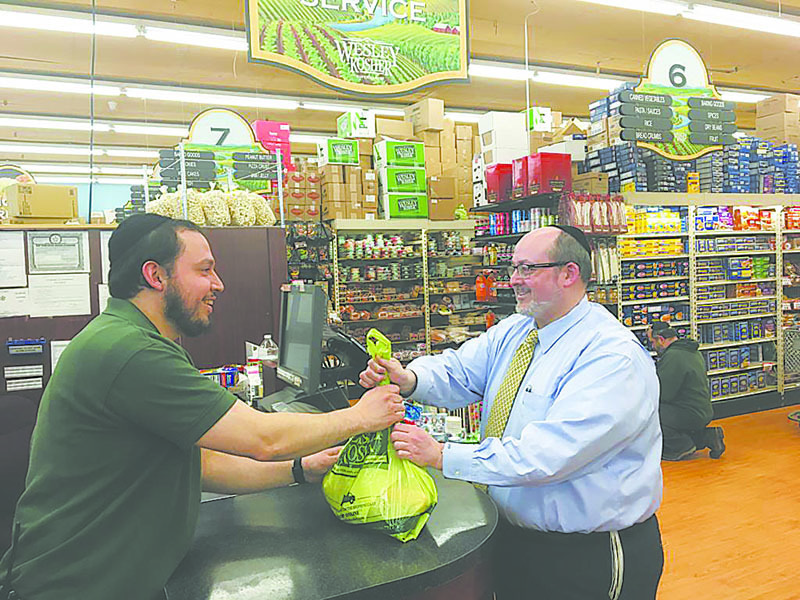 Monsey resident Rabbi Jonathan Gewirtz said that his family uses grocery bags for a variety of purposes, such as taking recyclables out to the garage and to wrap up soiled diapers to mask the smell. Rabbi Gewirtz said that he felt like the legislation was passed without giving New Yorkers any advance warning. Bag the Ban, a movement that claims plastic bags are being unfairly targeted by environmentalists, estimates that more than 90 percent of Americans reuse their bags at least once, noting that bans create financial hardships for low and fixed income families while having minimal environmental benefits. Spring Valley resident Eileen Grossman had a different point of view, saying that she often sees plastic bags on the ground when she visits local parks and lakes. As someone who already brings the bulk of her purchases home in boxes and paper bags and takes reusable bags to other stores, Grossman sees the ban as a relatively painless way to help the environment. 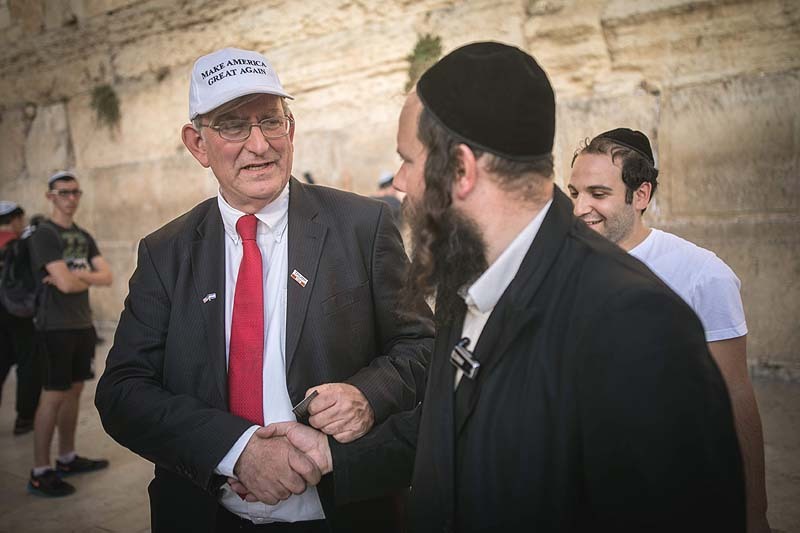 For Woodmere resident Dov Herman, the ban, enacted by Cuomo and Democratic lawmakers, is indicative of a far larger issue plaguing Orthodox Jewry. Sandy Eller is a freelance writer who writes for numerous websites, newspapers, magazines and many private clients. She can be contacted at sandyeller1@gmail.com.